I have done between 20-30 careers fairs and open days to promote the ambulance service. Some events have attracted school leavers and young university applicants, whereas others have attracted a much broader range of (older) people with much more life experience who also have an interest in joining the ambulance service. As a member of ambulance staff, engaging with visitors at careers events can provide an excellent way to indulge my ambulance geekiness, and boast of the equipment and heroics provided by ambulance staff every day. It also makes sure I can reply competently to a range of questions; what does that do? What’s the worst thing you’ve ever seen? Do I need to be able to drive? What if I don’t look good in green? Most people I speak to fall into three broad categories. First are those with a serious determination to join the ambulance service; this group have already done their homework and provide a thrilling challenge to speak to and support their passion. Hungry for success, they can seamlessly talk about a variety of healthcare issues which stands them in good stead for an interview, and shows a commitment that will help them through the challenging times of ambulance training. The second category, and most commonly seen among younger people, is those with a pleasing interest in the ambulance service, but regrettably are heavily reliant on their parents to ask the questions and demonstrate their interest. For me, this group ring alarm bells as I generally don’t feel they have the personality to successfully pass a selection interview and will also struggle to engage with patients while on placement. By all means bring your parents or partner and let them be part of the event, but remember you need to lead it! The third group are those who don’t yet know if they are truly interested in an ambulance service career, but are there for a look round and willing to be persuaded. As a representative of the profession, this can be a really exciting group to work with; if I do manage to ignite a passion I can feel proud I was the spark that started it all. I have now met a few qualified ambulance staff who have approached me and thanked me for the initial conversation several years before. Being a member of St John Ambulance or working in a supermarket at weekends is fantastic, and will help demonstrate some relevant life experience which is appealing to recruiters. However, bear in mind many, possibly even the majority, of applicants for ambulance service jobs will also have similar experiences. There is ALWAYS someone who has done more St John Ambulance than you, so joining it at 16 to bolster a student paramedic application can pale into insignificance compared to other candidates. Therefore, do as much additional activity as you possibly can, so you build up plenty of interview-ready knowledge and understanding. It’s getting harder to get work experience in the NHS where you get to actually see patients, but friends and family who work in health and social care might be happy to speak to you, or invite you to their office for a look round. Aim to be able to talk to an interview panel about something relevant to the ambulance service, but which they are unlikely to have heard much about before, because it will help them remember you. Perhaps a placement with an Occupational Therapy team, working with a committee on a project which has national significance to your voluntary organisation or having a special responsibility at your Saturday job will give you a unique angle to mention in an application. There are lots of routes into the ambulance service. It seems consistently seems that the least frustrating way to progress is to have a complete set of GCSEs at grade C and above, three good A levels with a science focus, and ultimately having a degree in Paramedic Science. If you don’t have these, it’s not necessarily a barrier to being offered a place, or to eventual progression, but you will need to spend potentially years catching up with competing candidates who already have the prerequisite qualifications. Do yourself a favour and try pass the exams the first time round, and always keep your foot on the gas when offered the chance to study. You will fail some things, but that’s ok as long as you’ve lots of other qualifications to help people have faith in your ability to learn, and you’ve only needed to do minimal retakes. We keep 50% of patients out of the emergency department and have a huge role in the assessment, management and referral of patients in the community with a level of autonomy only doctors had a few years ago. Interviewers want to know you understand modern ambulance work, and can contextualise it with the traditional heart attack and road accident role of the ambulance person. 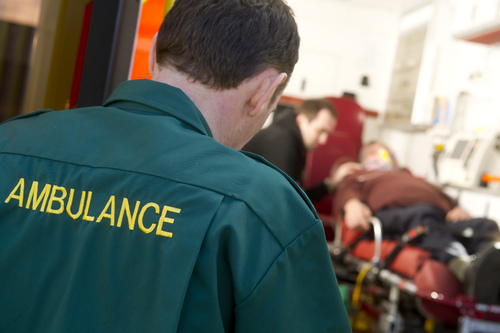 If you’re 18 now, and plan to complete a Paramedic Science course as soon as possible, you might be qualified in 2021. If you stay with the ambulance service for your whole career, that means your retirement party is going to be sometime in the late 2060s! Applicants need to anticipate what the future might hold, how they are going to prepare for it and consider what they will be able to contribute to the ambulance service’s continued success. People are trying to help you. There are online opportunities to engage with medical professionals from around the world; some will have been in your exact situation and have experiences similar to yours. Facebook groups, Twitter conversations and blogs provide a valuable and current insight into the ambulance service. You don’t have to spend any money, travel or have special qualifications to get involved. A little bit of social media activity learning about the ambulance service done every day quickly builds to a wealth of knowledge that you can discuss at interview and demonstrate considerable credibility. Social media is a great way to find out about ambulance service developments, controversies and build relationships with all sorts of people that might be able to help you with your career. Joining the ambulance service isn’t easy. It’s a complex and politicised organisation of dedicated professionals trying their hardest to do a difficult job in challenging circumstances. You study not to pass the exam, but to be ready when you’re the only person between the patient and the grave. You need to prove that you're worthy of being part of it because lots of people will tell you that you’re not. It will mean getting up early to attend university fairs hundreds of miles away, spending your own money on courses, dedicating endless hours of your time to pouring over applications and making the effort to connect with admissions tutors, managers and recruiters who all want to help the right candidate who is willing to prove themselves. Many of these experiences will be fruitless, but you only need one `yes` to make it all worthwhile. 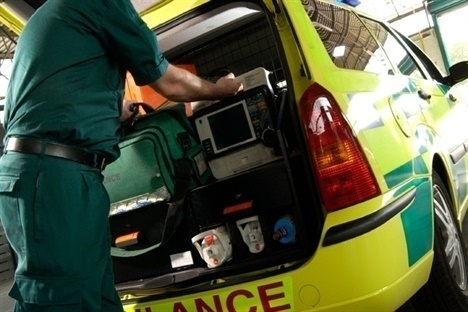 Overall, to even get your foot in the door of the ambulance service it can take years of commitment, even when there is no promise of a job at the end of it. Keep focused. Work hard.